The 2018 season will be registered as one of the best in recent years. As a producing country, Chile has the advantage of great climatic consistency, allowing for our wines to demonstrate incredibly consistent quality across all segments. However, during the past three harvests we have been challenged by nature’s turbulence. Three seasons ago in 2015, it was one of the coolest in the past ten years. This gave for delayed harvests of up to 15 days. In turn, the wines were characterized by low alcohol content, intense aromatic profiles and a rich acidity on the palate. Then came the 2016 harvest which surprised us with unexpected rainfall in April. Between 160-190mm fell in two days in Chile’s central zone, where most of the country’s viticulture is concentrated. This state of affairs resulted in huge challenges for the wineries, which had to harvest swiftly within the fastest possible time and use all the resources and technology available, in order to produce wines of the same quality. It was a year that shook us as an industry, but which also taught us a great deal about how complex and majestic nature is. And 2017 was a warm year across the country, with maximum temperatures higher than usual –especially in January– as well as higher minimum temperatures. This meant the phenological and physiological ripening stages were concentrated within a shorter period. 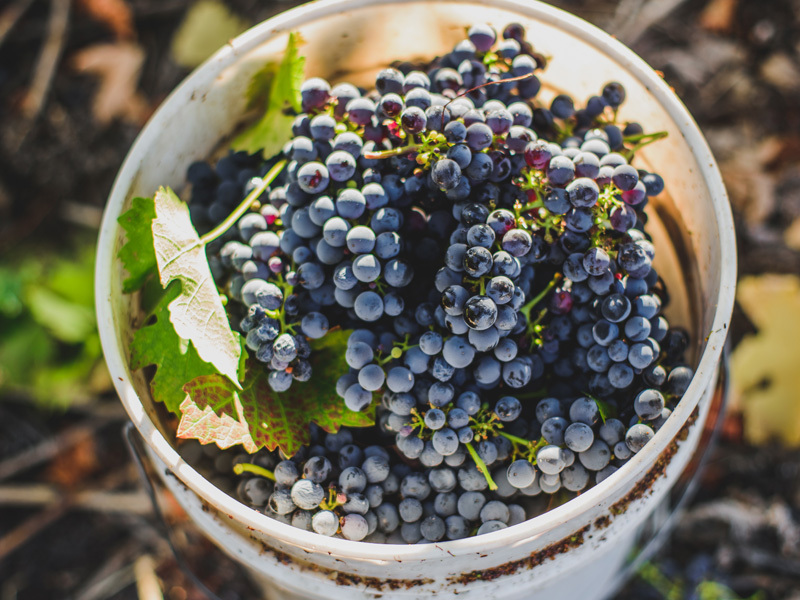 Harvests were brought forward by up to one month in some valleys, and the resulting wines were voluptuous and unctuous with good structure and possibly a slightly higher alcohol content. This is what preceded the 2018 harvest, which was more or less perfect. The climate was outstanding in all valleys. Temperatures were cool and cloudy days prevailed during the summer season in the coastal valleys, and all the varieties ripened slowly, giving for excellent aromatic intensity in both whites and reds, as well as intense colors in varieties such as Cabernet Sauvignon, Syrah and Carmenère. There was low pH in all varieties, giving for intensity on the palate, juiciness and persistence. In general, yields conformed to what was expected, thanks to the absence of severe frosts and good bud burst during the previous season. It is a year which will bring us wines of character, with good concentration and above all, fruit purity across all price segments.